Cass Gilbert hired Thomas Holyoke in 1885. Holyoke became an independent practicing architect in 1904. 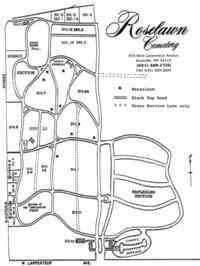 Two years earlier, the two began a collaboration to lay out Roselawn Cemetery for the newly formed cemetery association and to design the buildings, as recognized by the plaque on the chapel that reads “Cass Gilbert, Thomas G. Holyoke, Architects & Engineers, 1902.” The cemetery was officially dedicated on September 27, 1904. 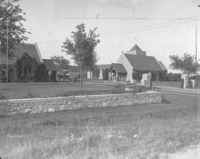 The site plan and buildings, which included the chapel, office, and a barn, as well as the entrance gates on Larpenteur (originally Roblyn) Avenue, were designed as one project. 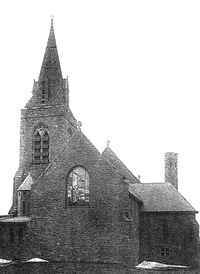 The character of the buildings is derived from Medieval English country church architecture. 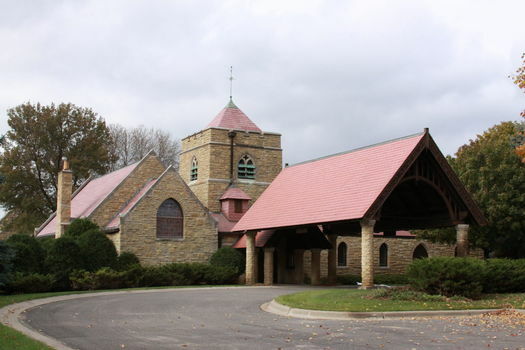 The general massing of the chapel relates to the north facade of the German Bethlehem Presbyterian Church, St. Paul (1890), St. Clement's Episcopal Church, St. Paul (1894), and Grace Episcopal Church, Wabasha, Minn. (1900). The spare detailing fits well with modern, early twentieth-century construction practices. Church-blend Oneota limestone with Indiana limestone trim are favorite materials of Gilbert and Holyoke and relate to Holyoke's later church designs including Unity Church in St. Paul, his first independent ecclesiastical project. Carved faces on hammer beams derive from the German Bethlehem Presbyterian Church. Also incorporated into the design are carved bargeboards. The roof is of flat red clay tile, an early use of the material by Gilbert. Similar materials and details are used on the office building, located to the west of the chapel, across the entrance drive. 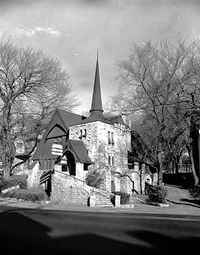 The interiors of the chapel include interesting ironwork, Guastavino tile vaults in the entrance hallway, and a remarkable collection of Stickley furniture that was selected at the time of construction. The north wing originally held a crypt and burial vaults for use during the winter months. The space has been converted to a meeting room and reception area with rehabilitation work done by Miller Dunwiddie Architecture.